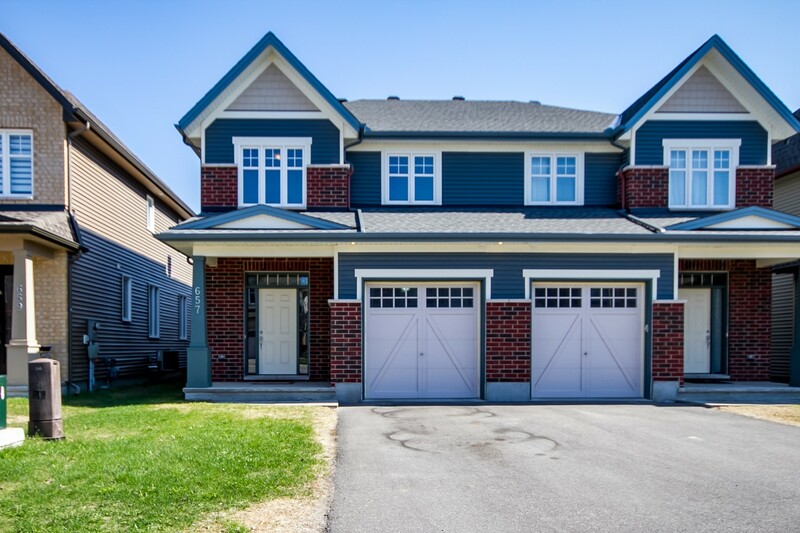 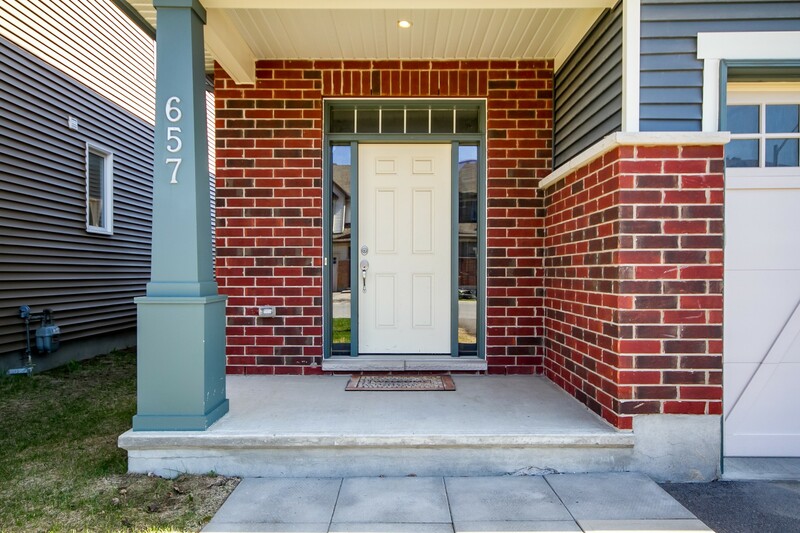 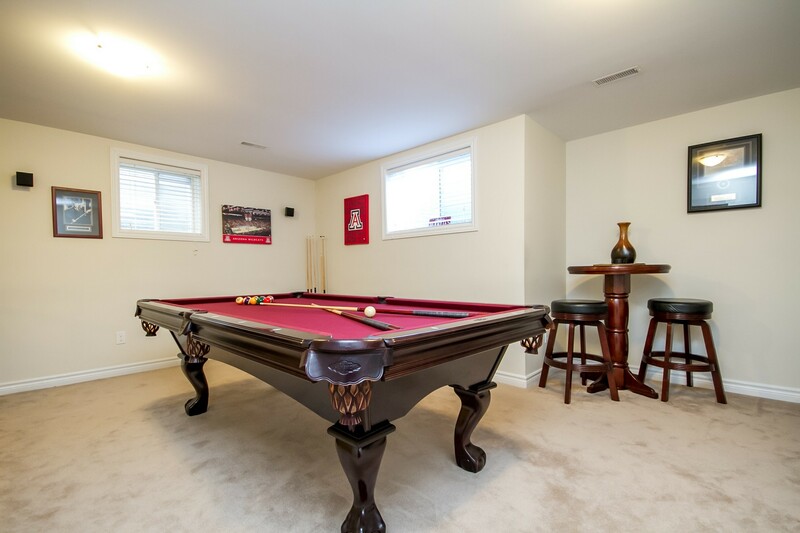 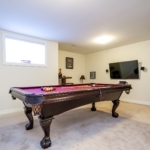 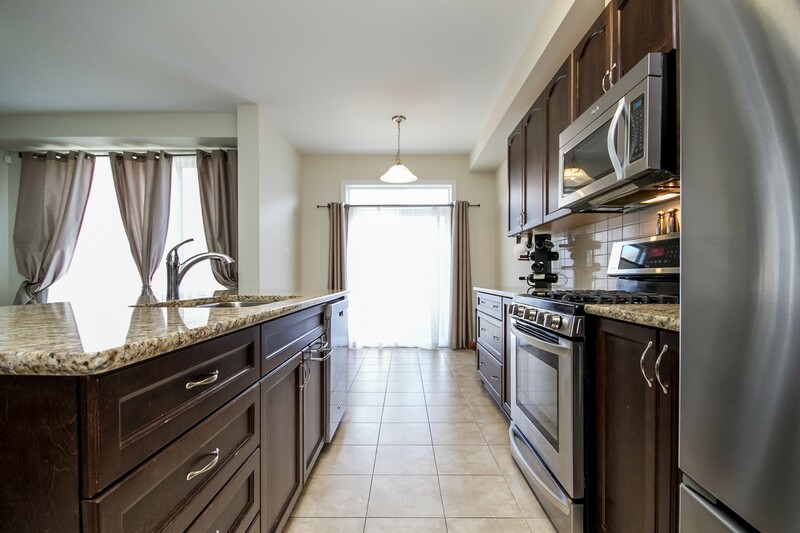 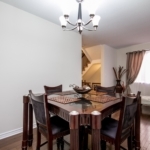 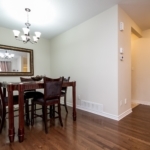 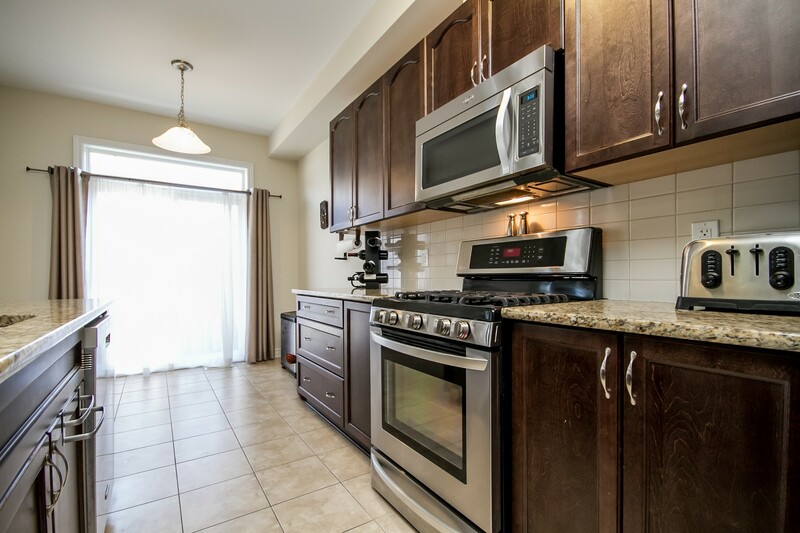 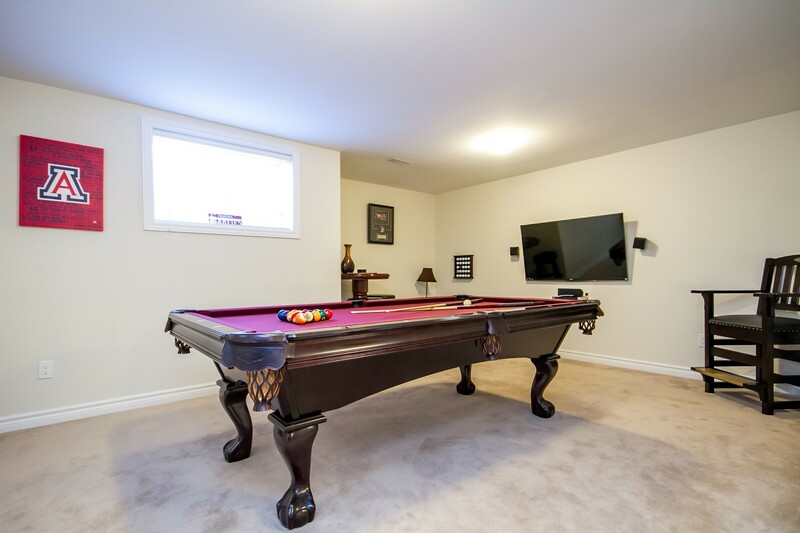 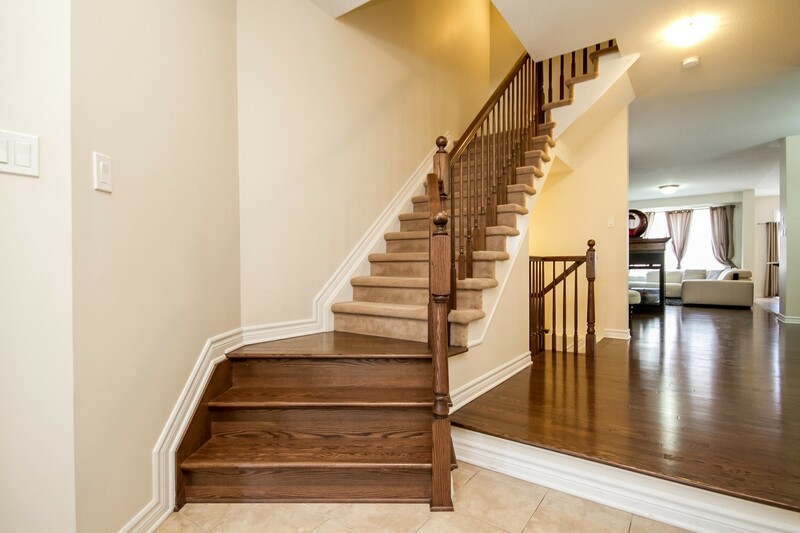 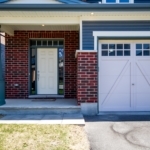 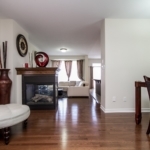 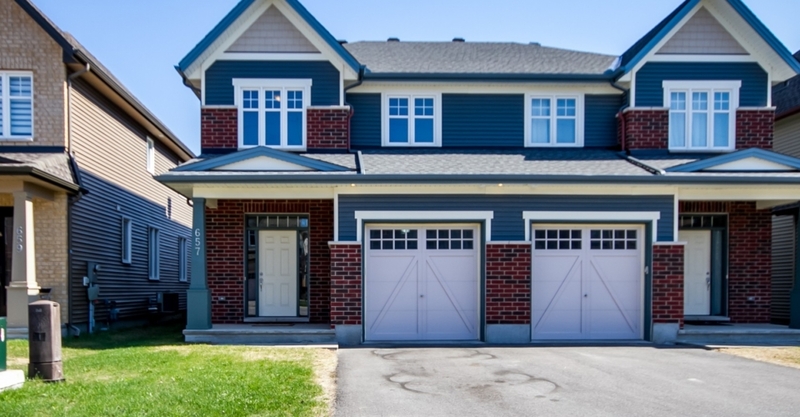 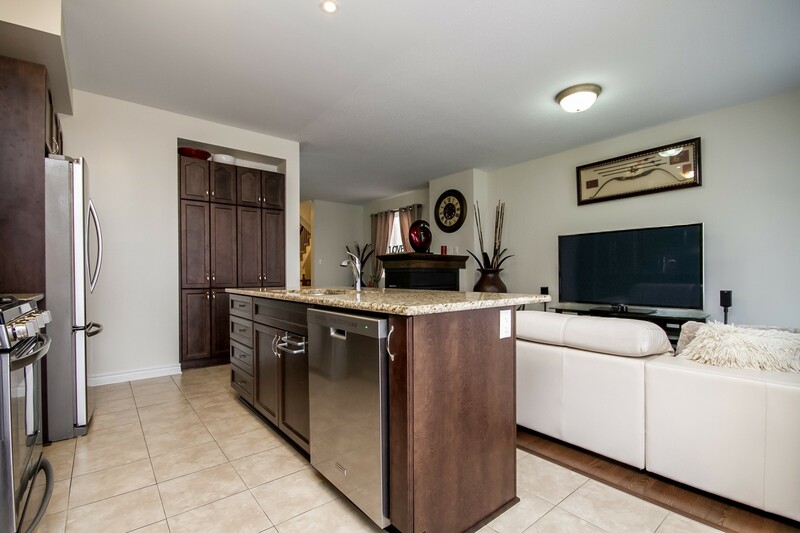 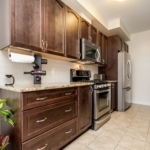 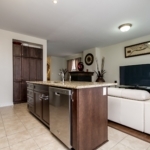 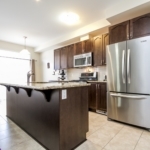 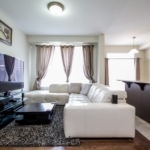 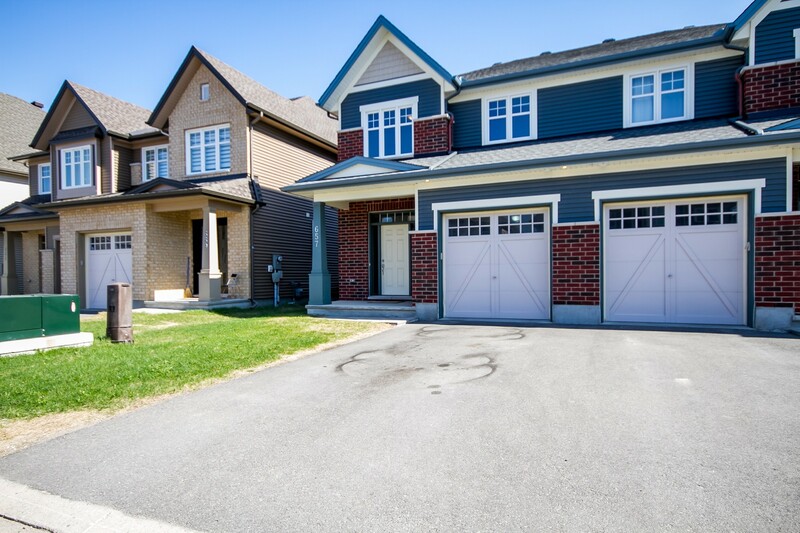 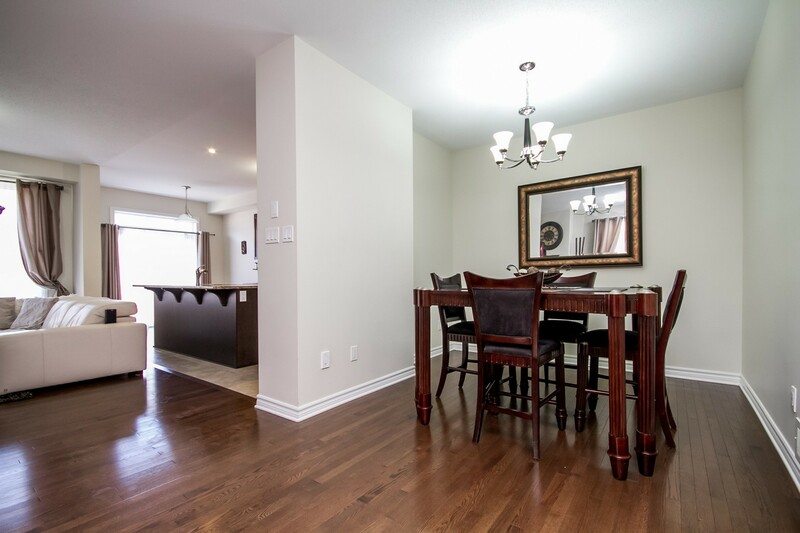 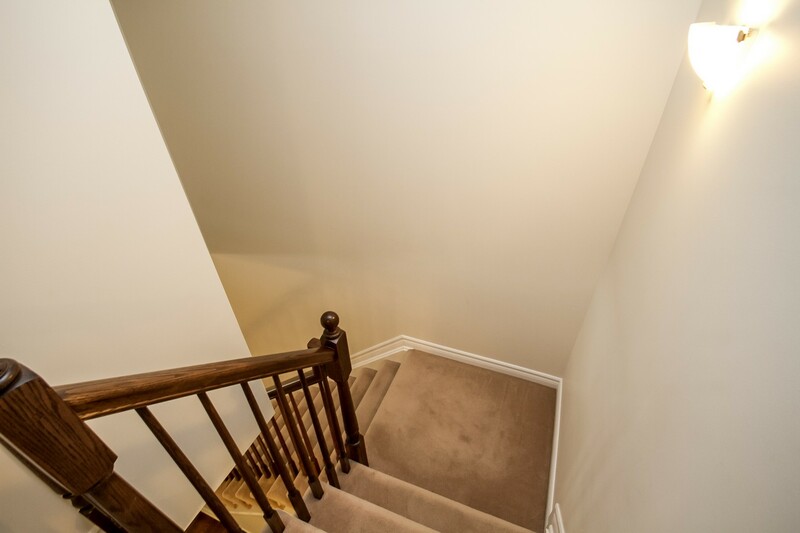 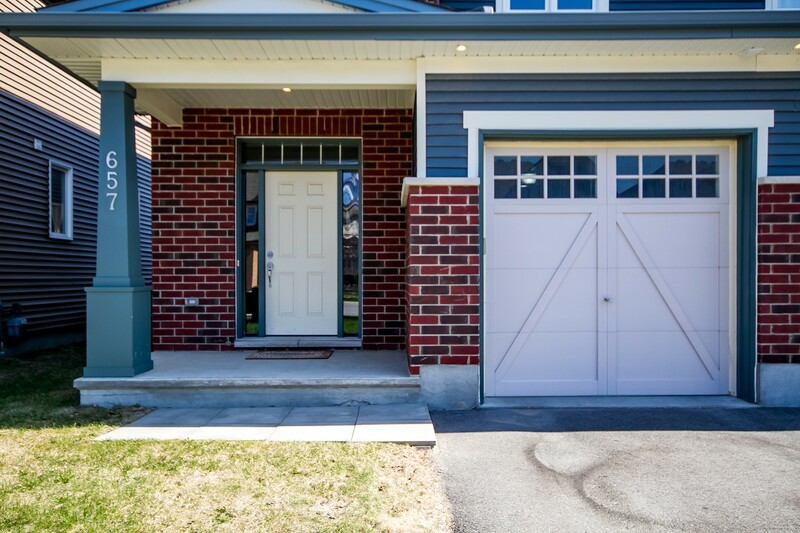 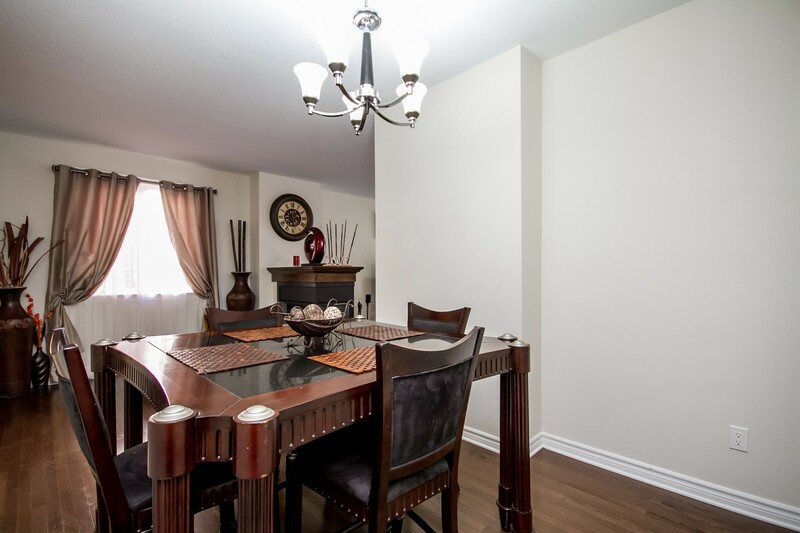 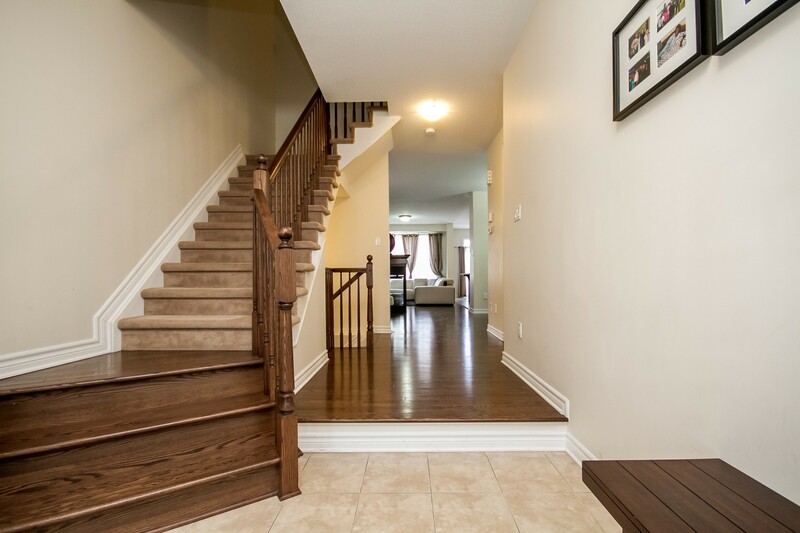 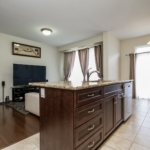 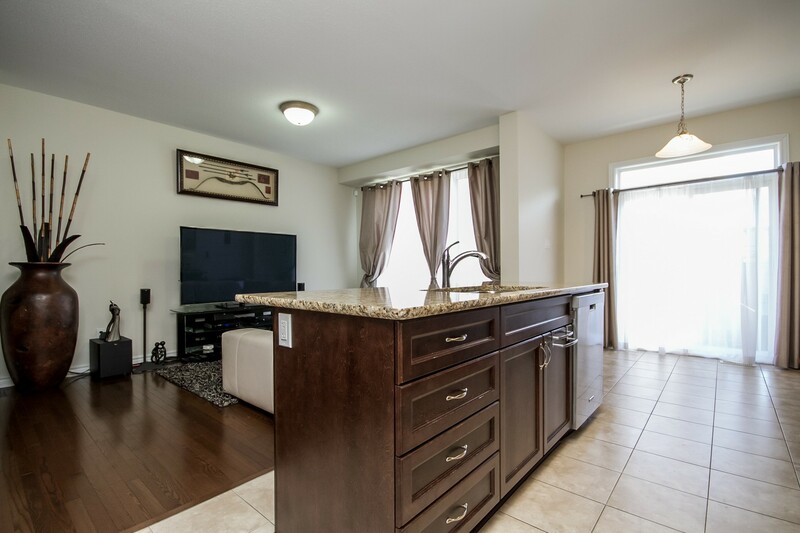 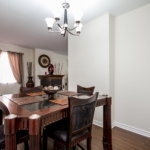 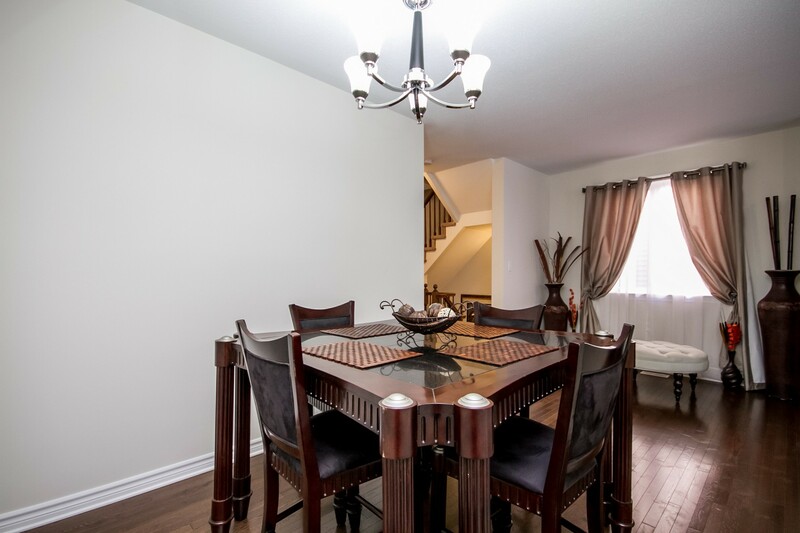 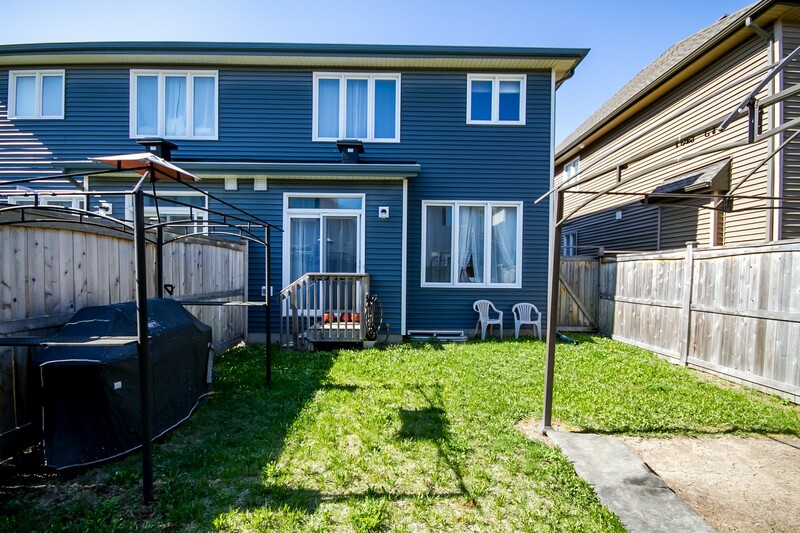 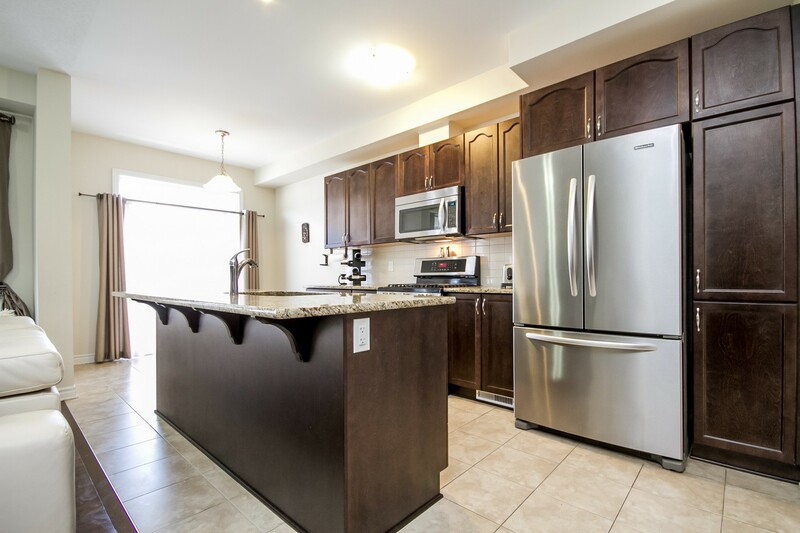 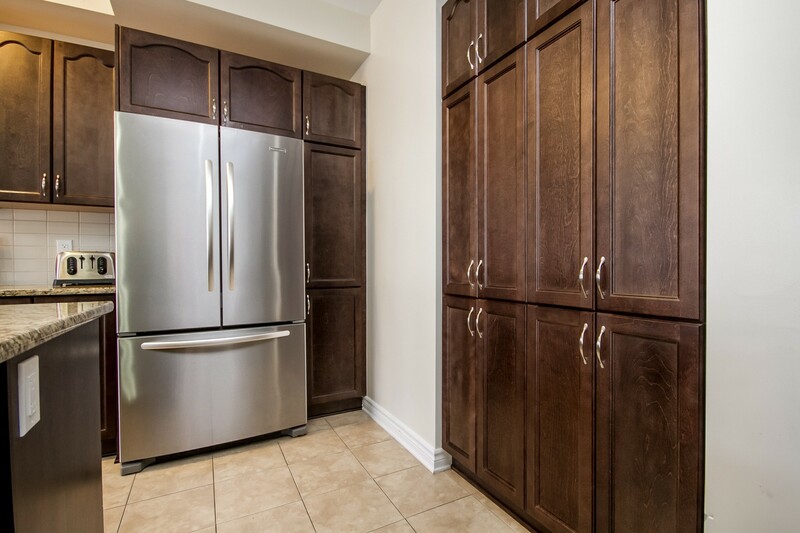 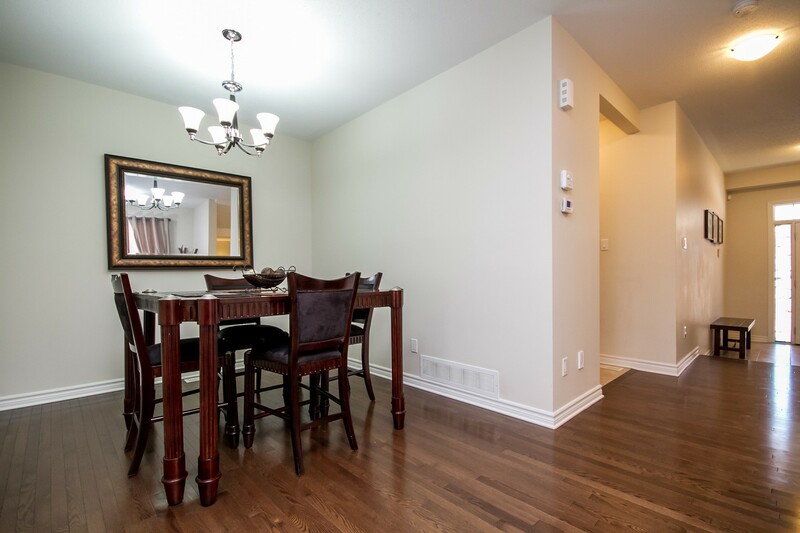 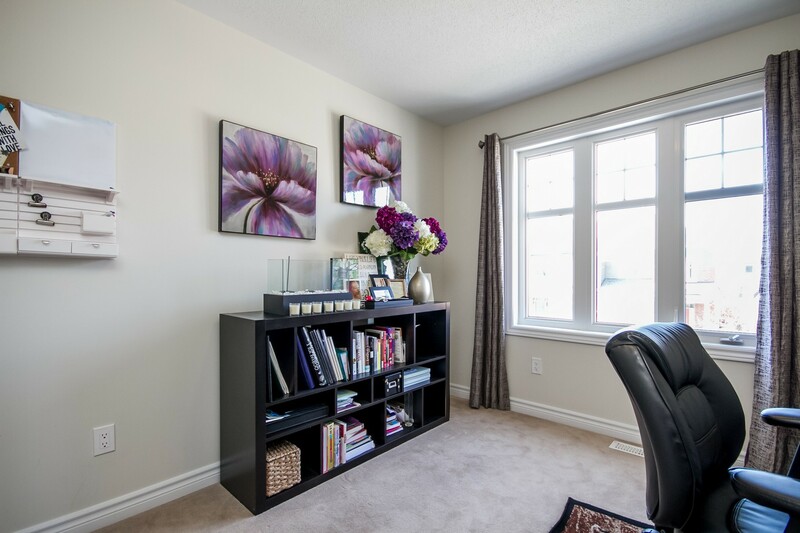 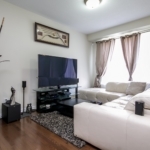 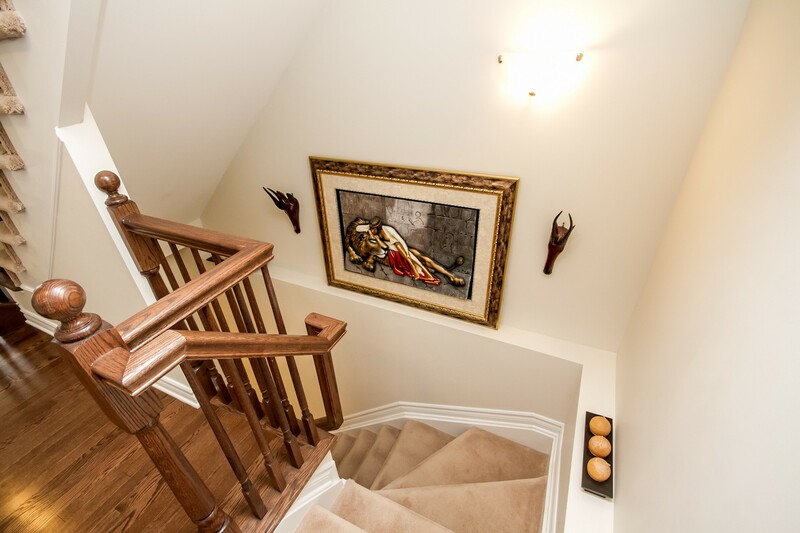 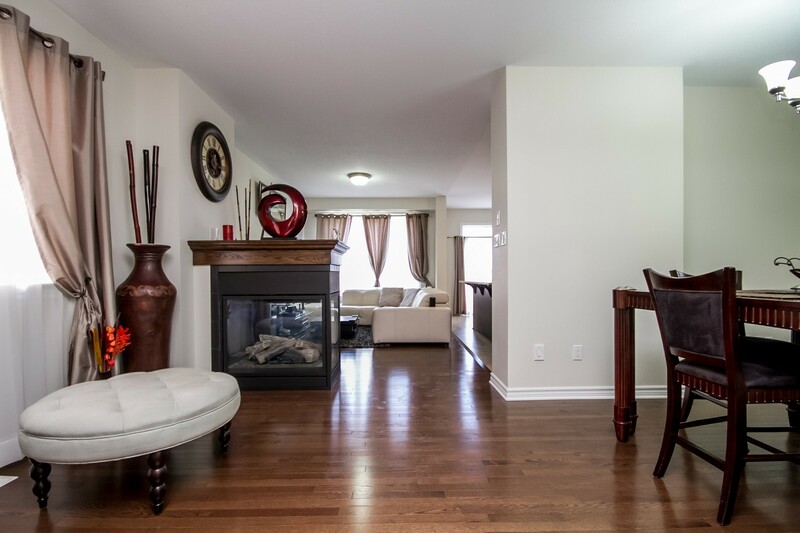 Stunning SEMI-DETACHED home which offers 4 bedrooms & 4 baths! 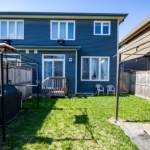 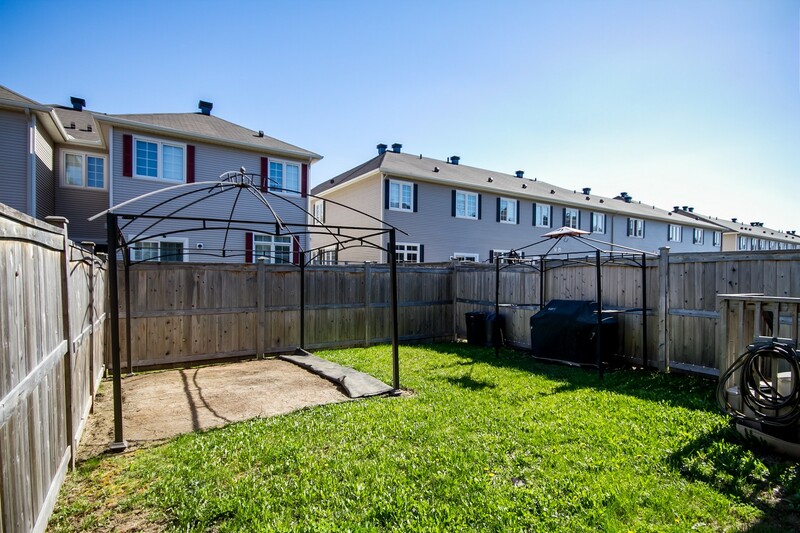 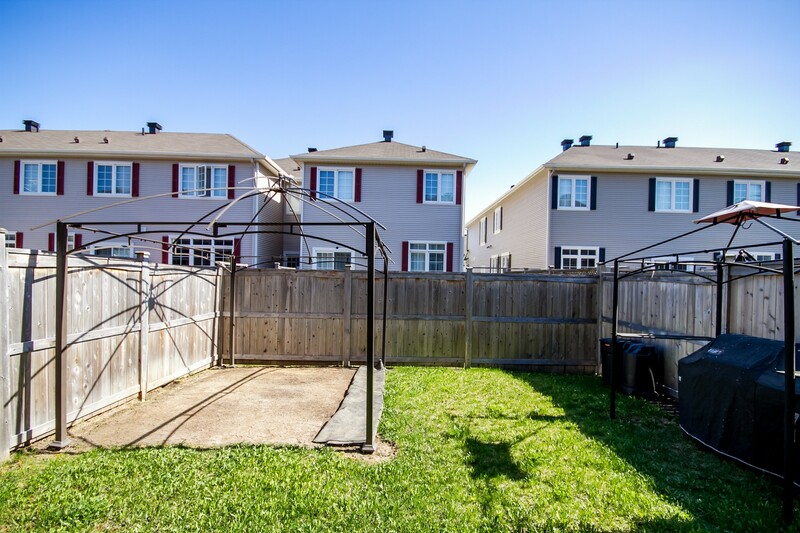 Situated in the sought after neighborhood of Trailwest. 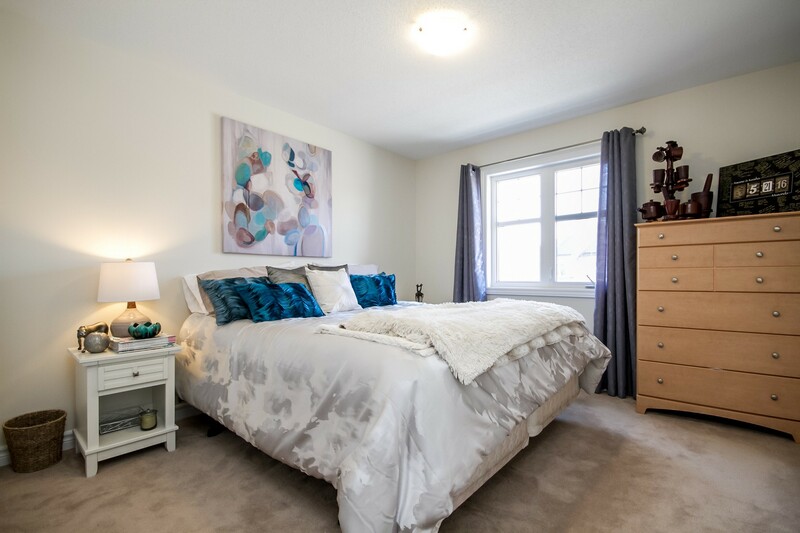 This rarely offered Hawthorn model offers an elegant OPEN FLOOR PLAN design & 2373 sq.ft as per builder’s plan(incl’d finished LL family room). 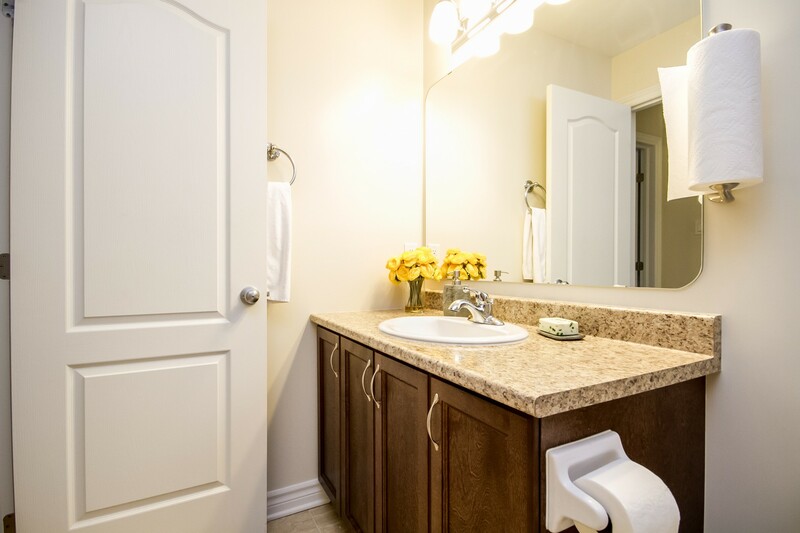 Designed with today’s lifestyle in mind this home will surely impress! 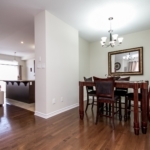 Hardwood flooring in living/dining area. 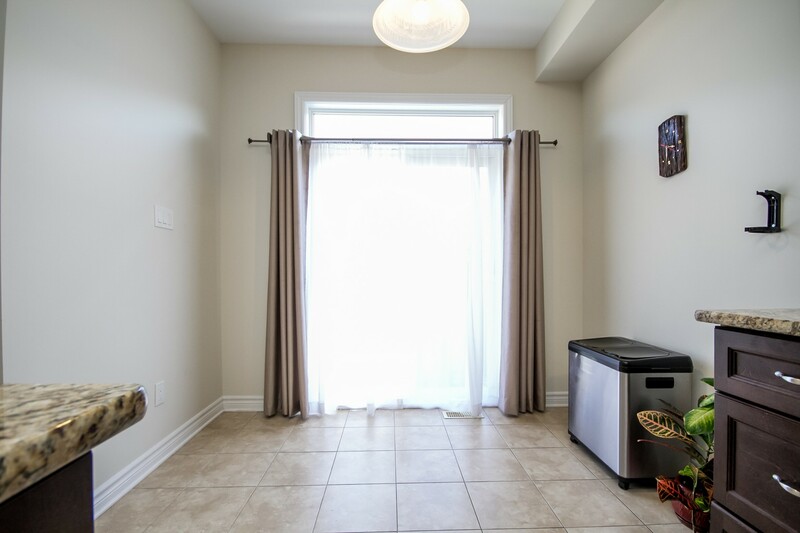 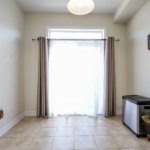 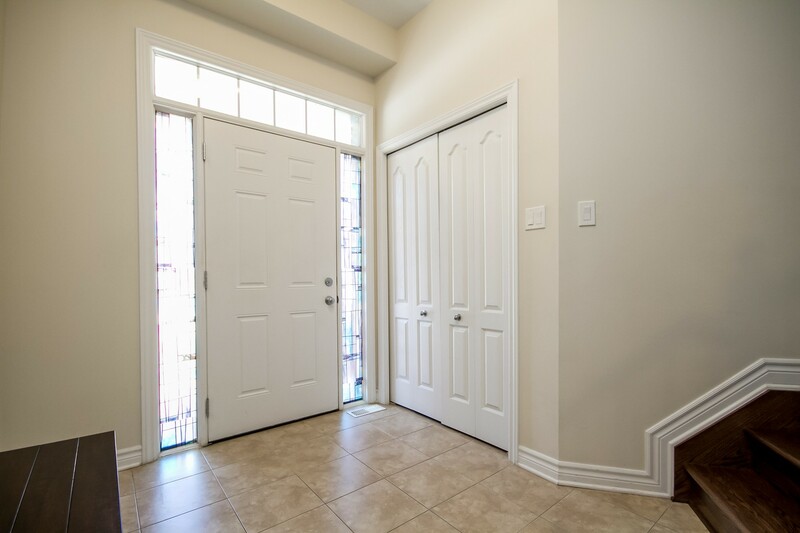 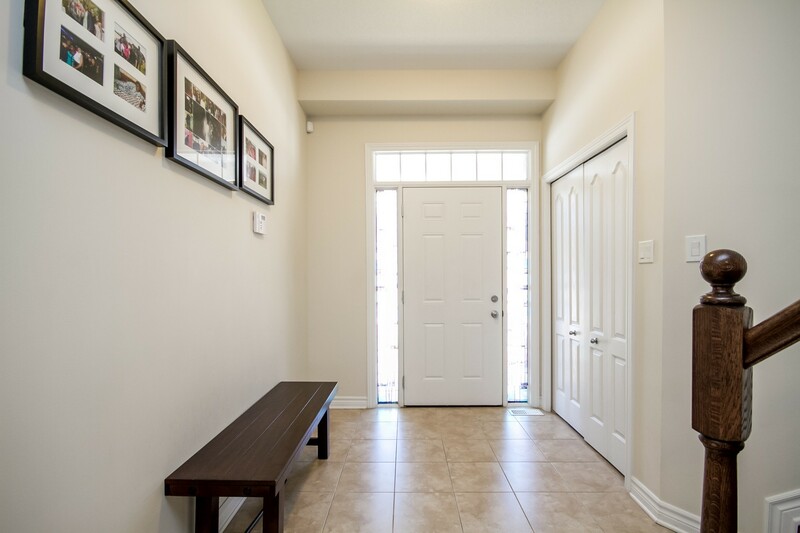 The foyer, kitchen and baths have tile flooring. 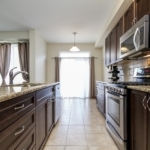 Stunning gourmet kitchen with GRANITE counters, large breakfast bar, gas range & SS appl’s. 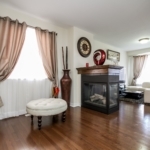 Dramatic 3 sided gas fireplace in the Great Room. 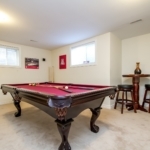 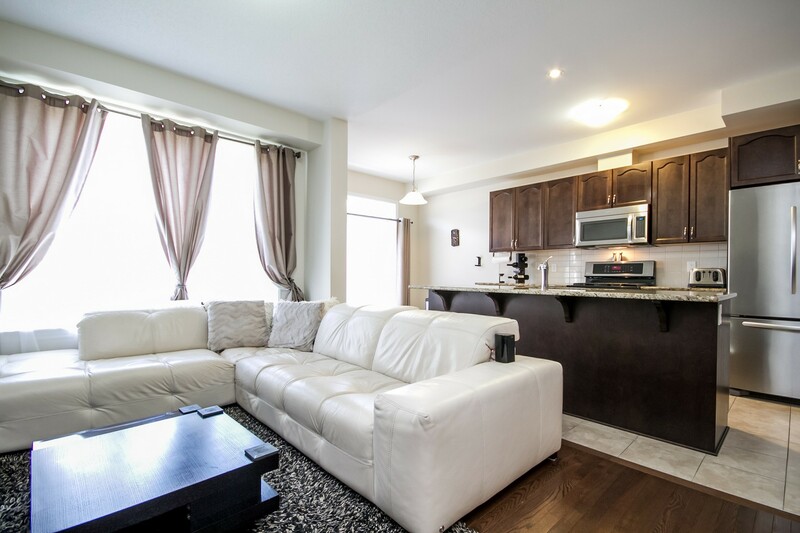 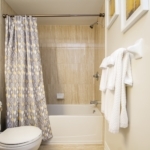 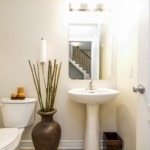 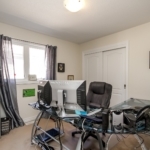 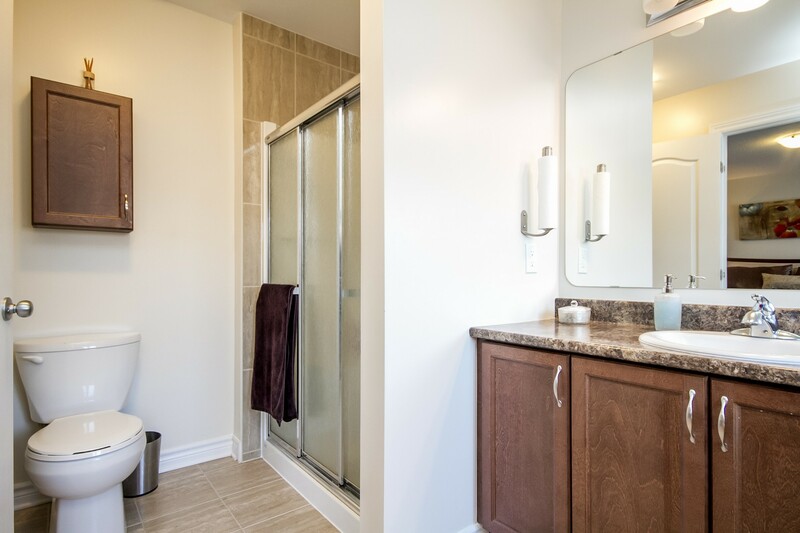 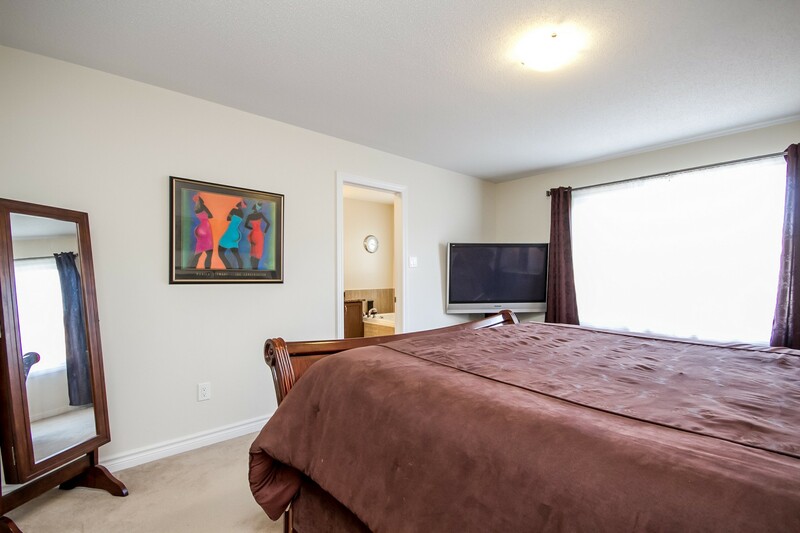 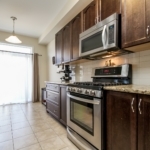 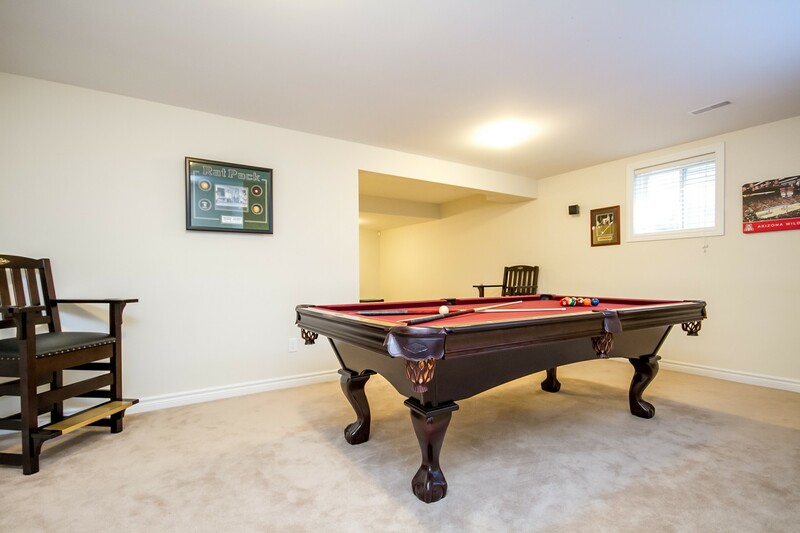 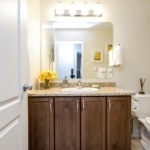 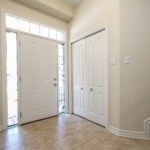 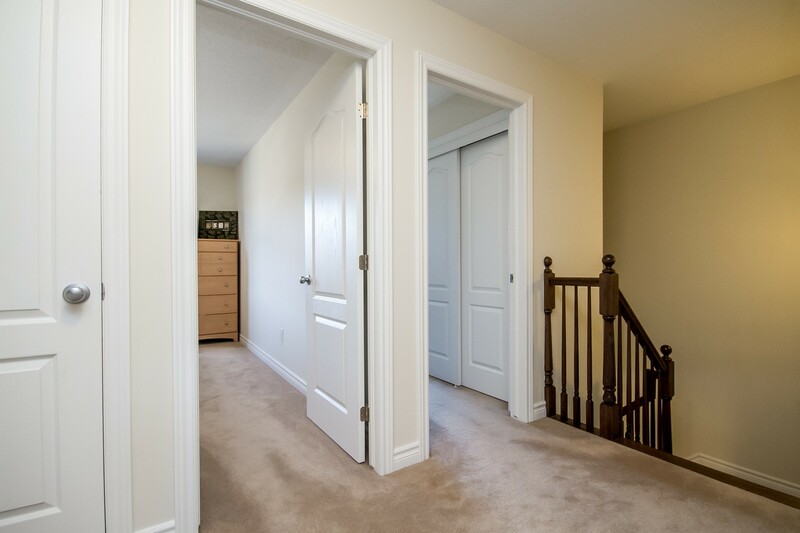 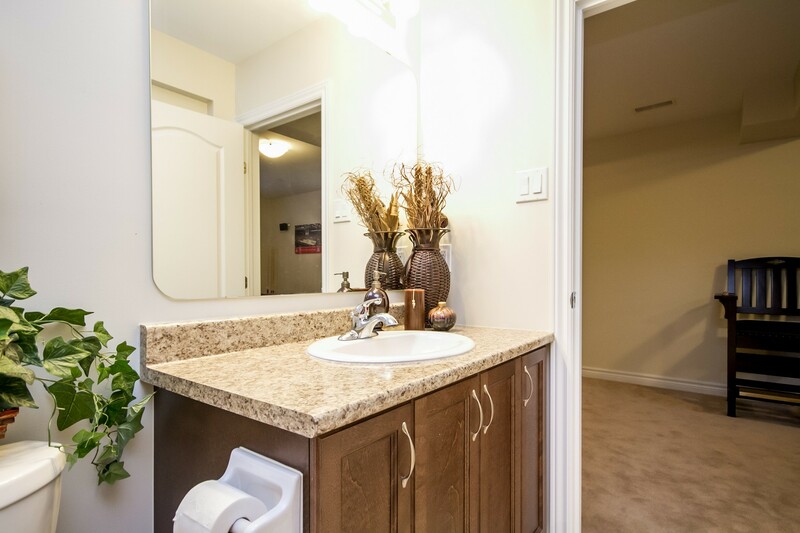 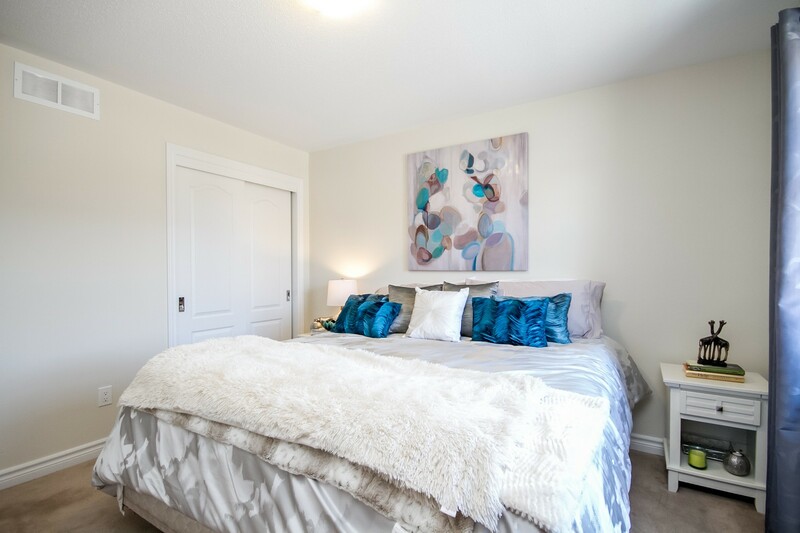 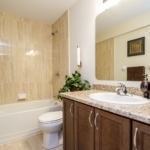 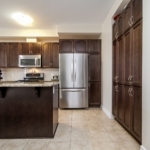 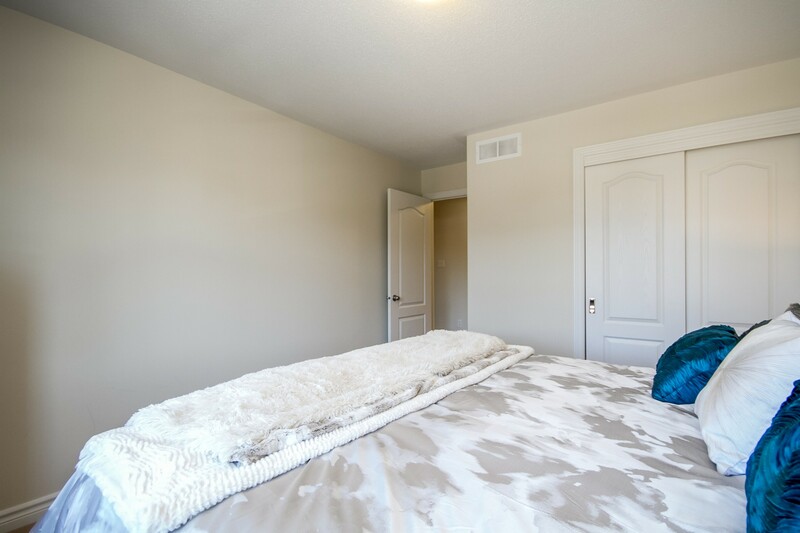 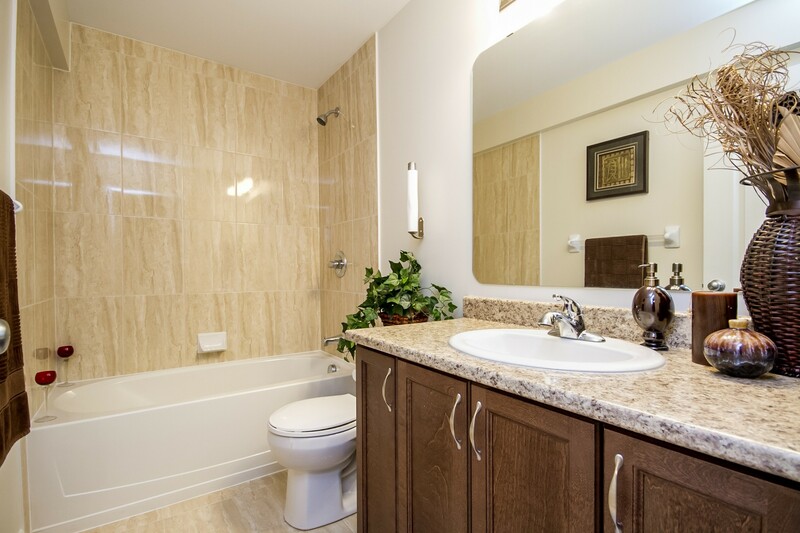 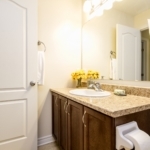 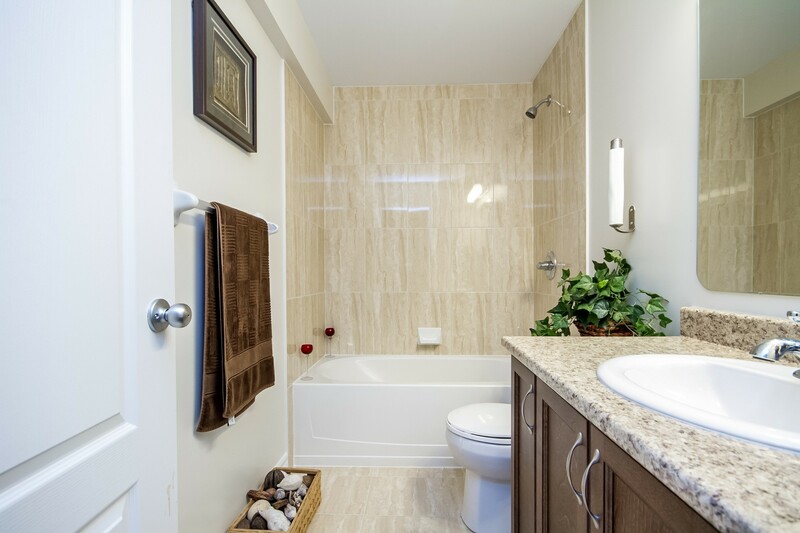 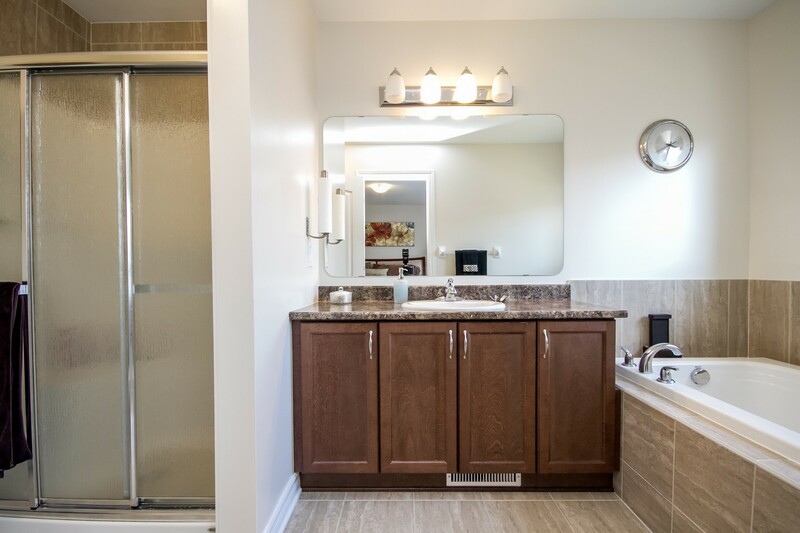 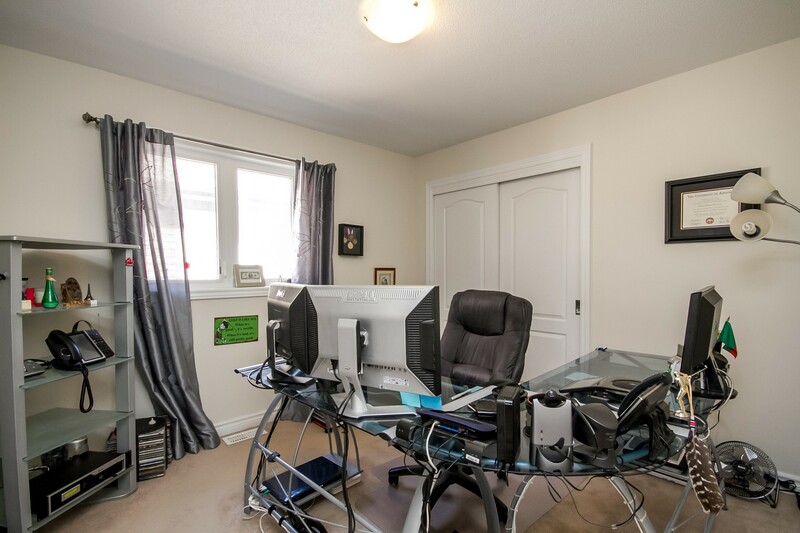 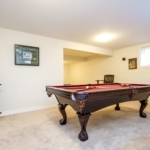 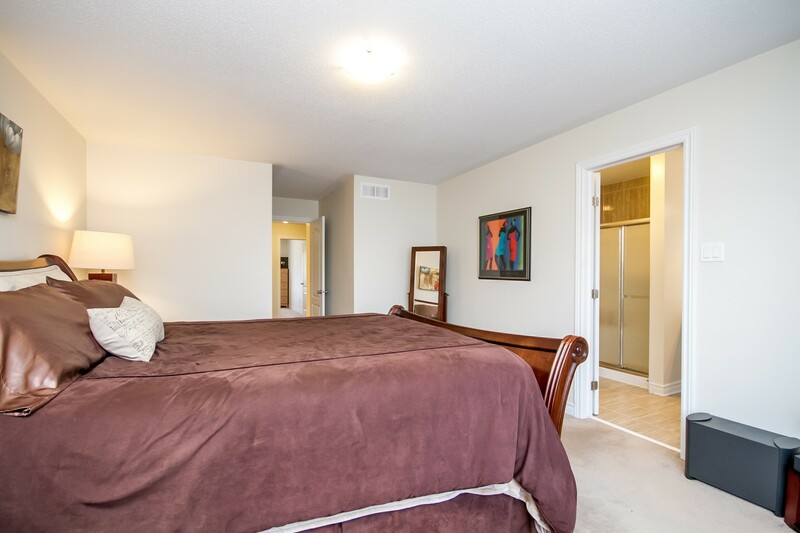 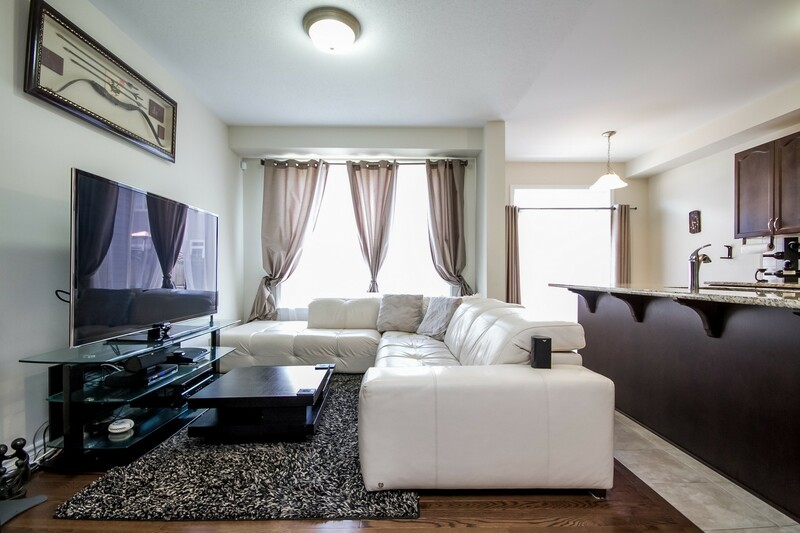 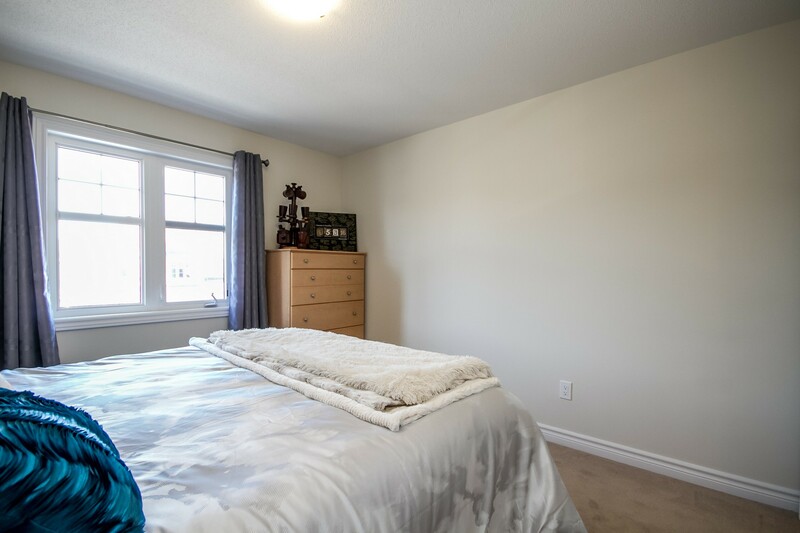 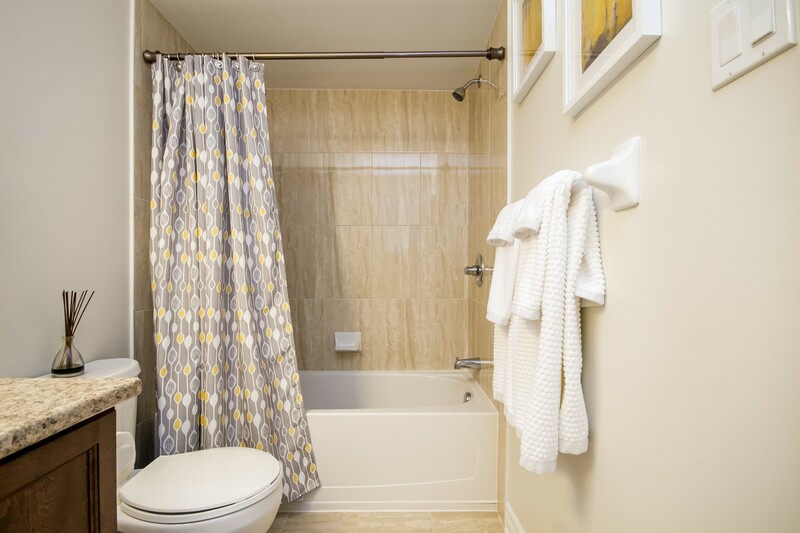 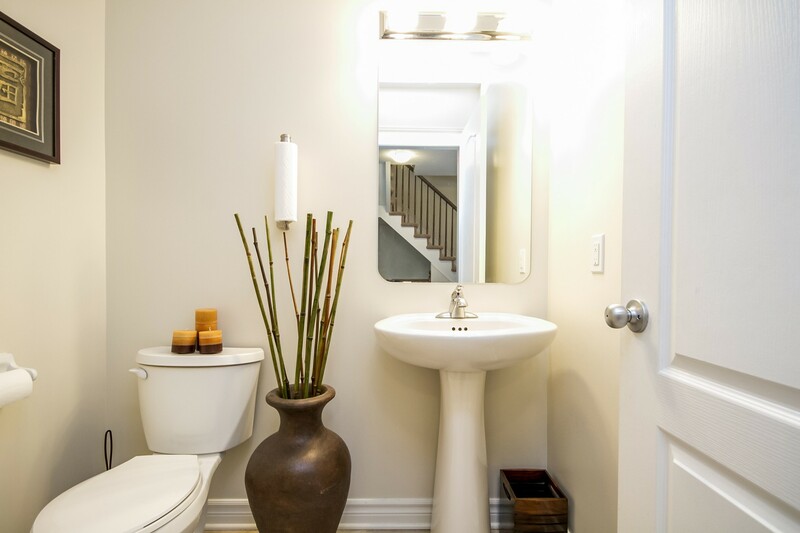 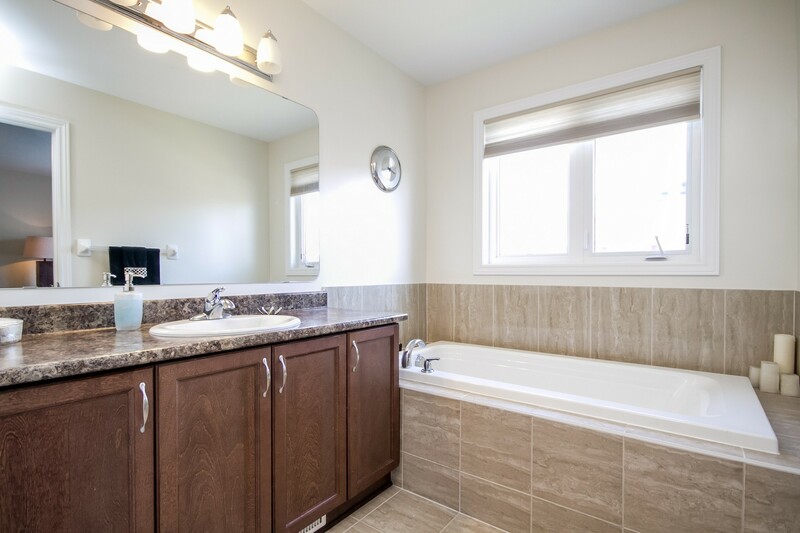 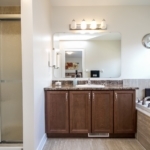 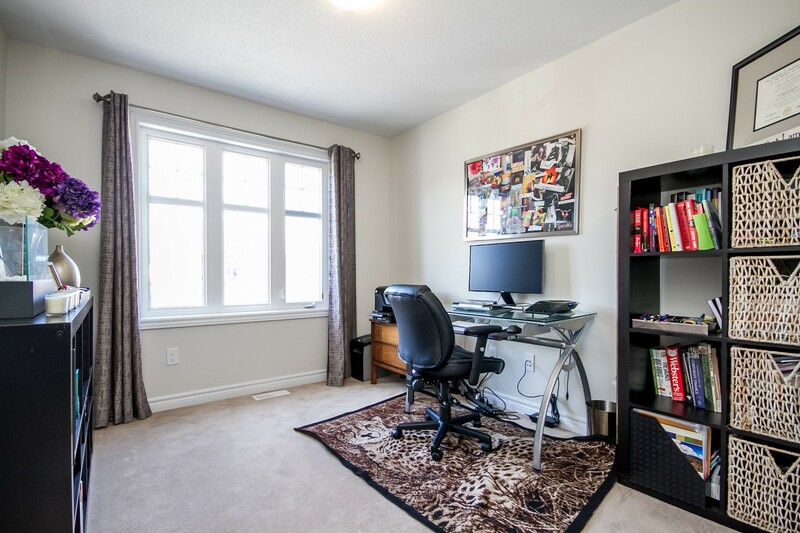 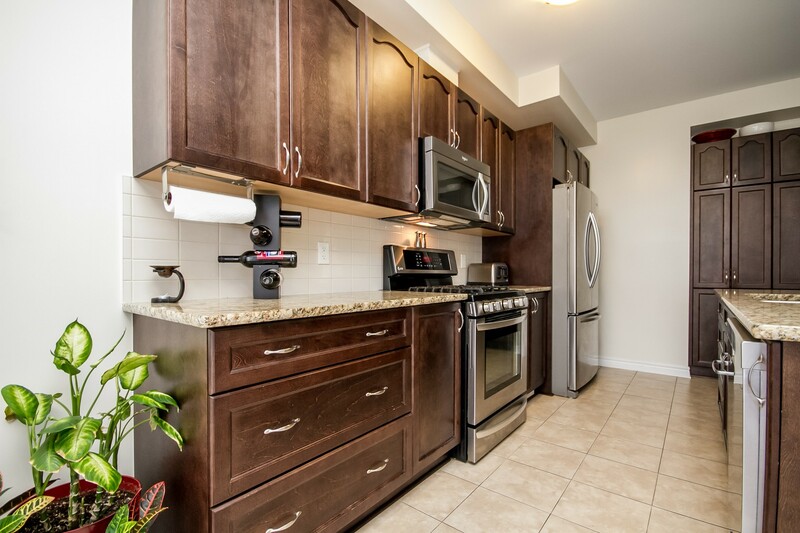 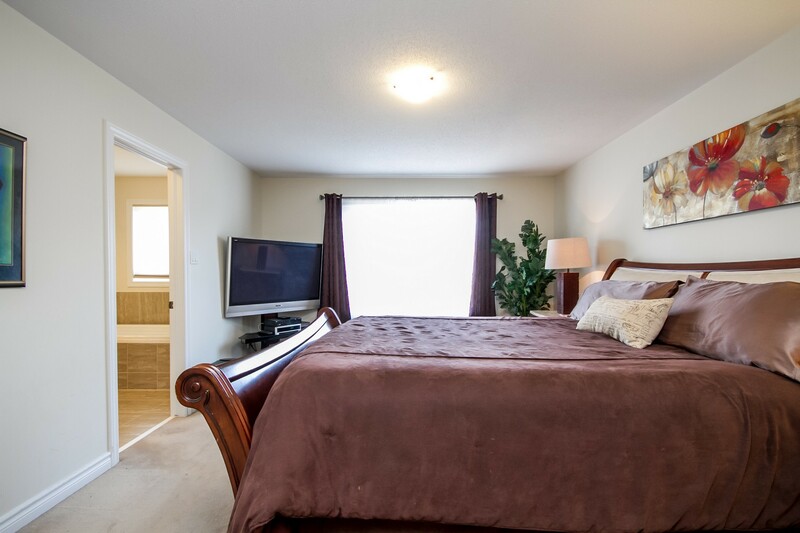 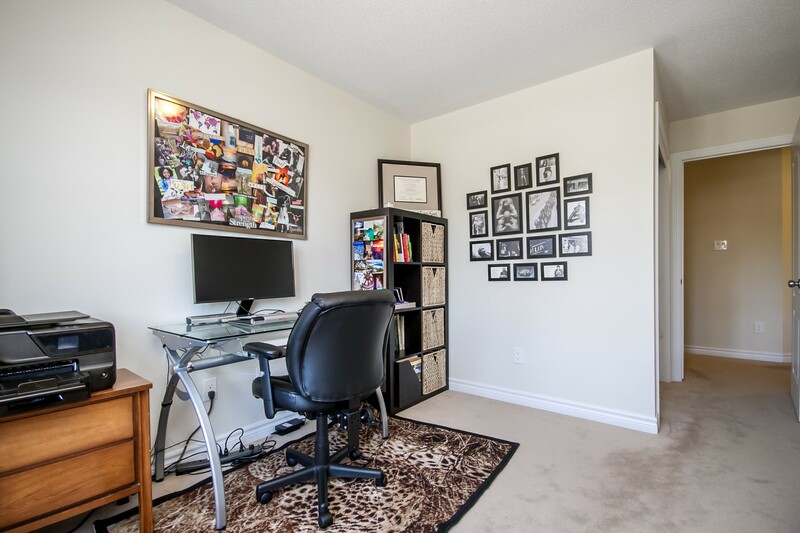 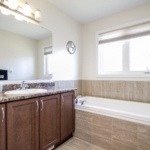 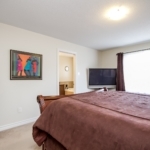 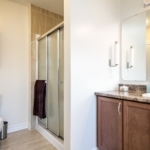 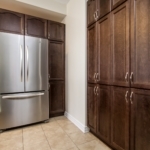 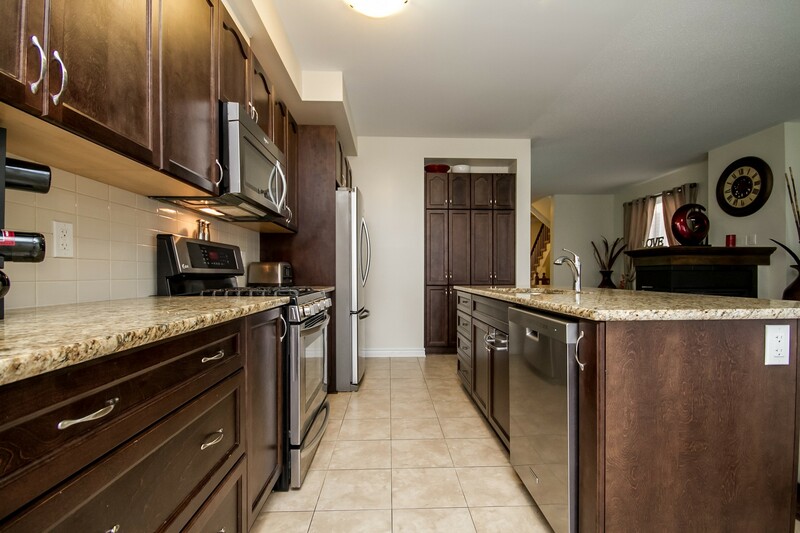 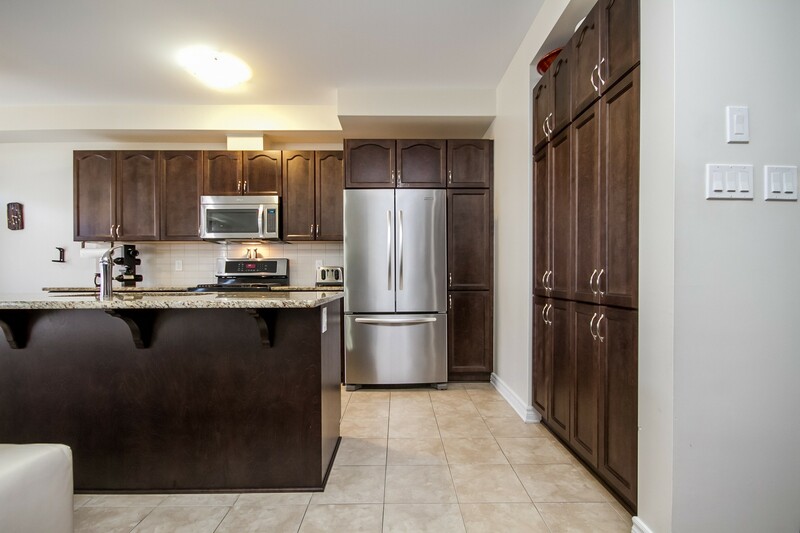 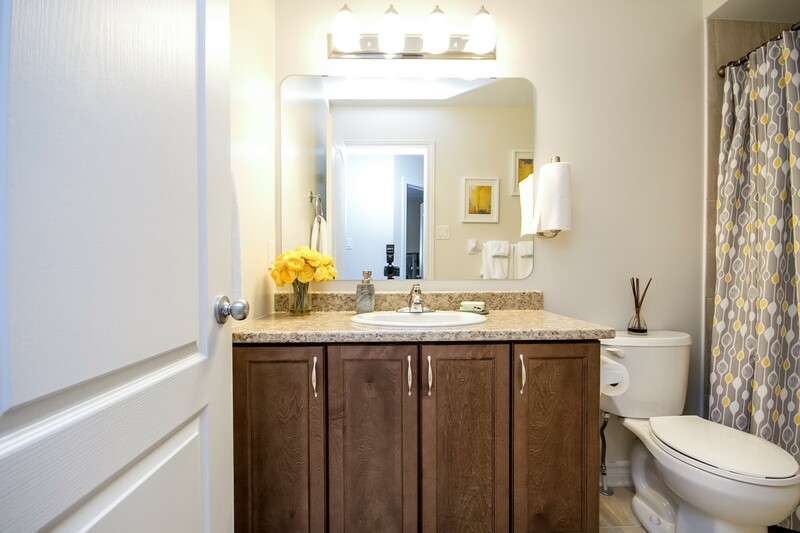 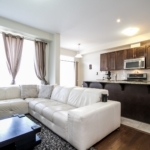 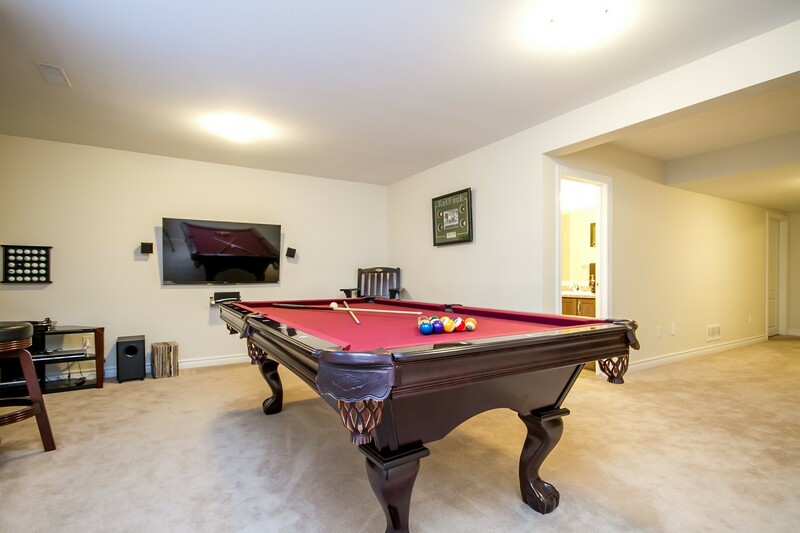 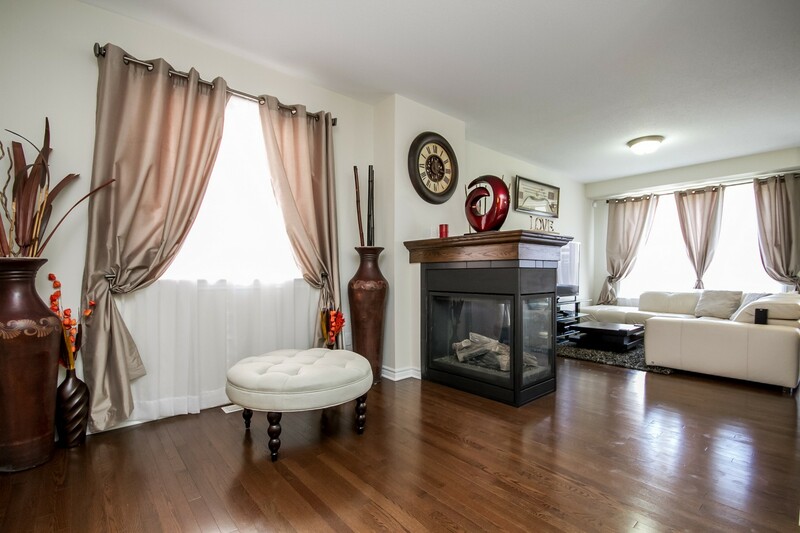 Spacious master with walk-in closet and a sumptuous ensuite w/soaker tub & seperate shower. 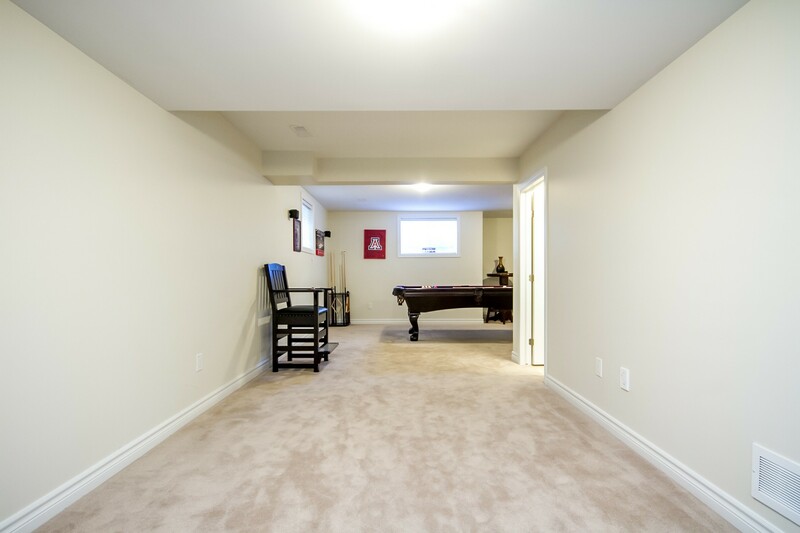 Spacious lower level family room. 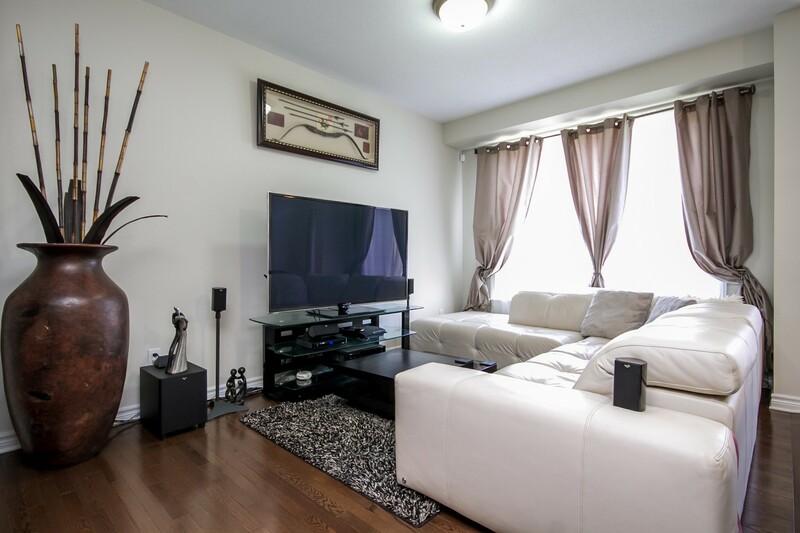 The wall mounted TV & surround sound speakers in bsmt included. 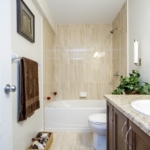 Full 4pc bath on lower level. 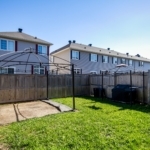 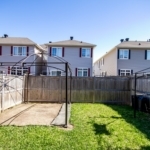 Fully fenced yard w/cedar fence. 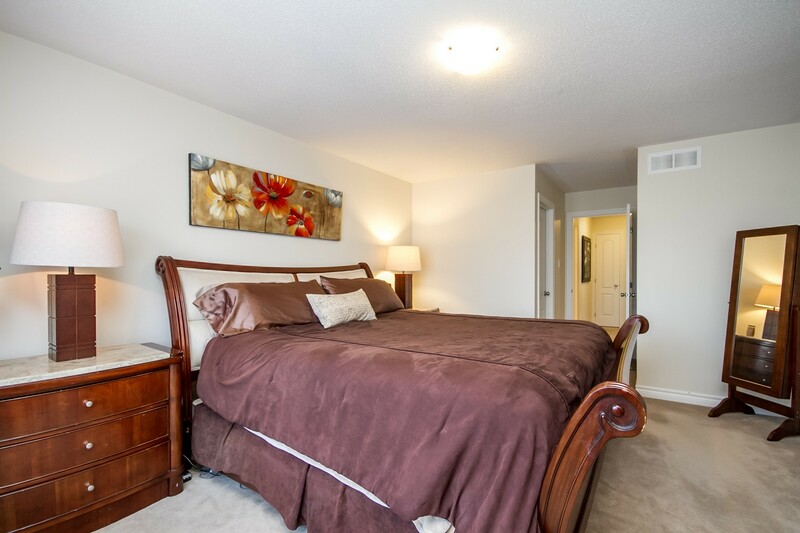 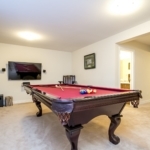 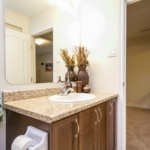 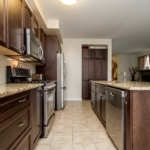 Stellar location, walking distance to park w/splash pad, shops, restaurants & fitness centers. 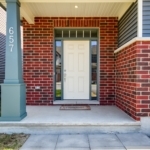 No conveyance of offers until Wed. May 16th at 6pm.